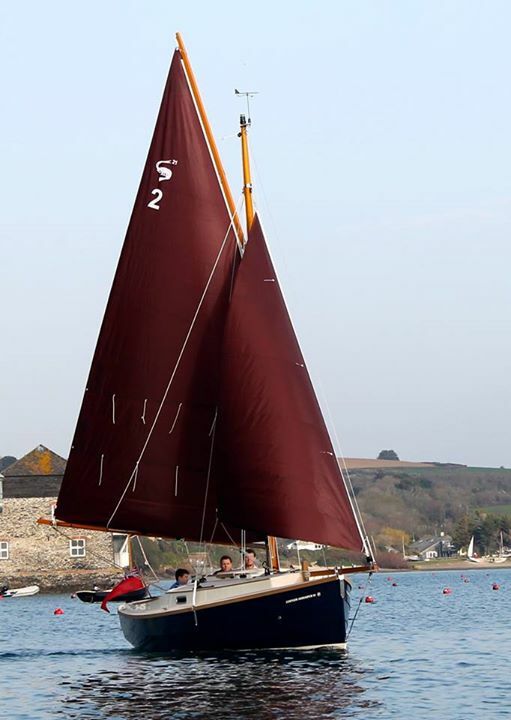 News - Genoa furling and reefing gear for Cornish Crabbers Shrimper, Swallow boats Baycruiser, BayRaider, Drascombe, Osprey, Squib, Wayfarer and Wanderer sailing boats. 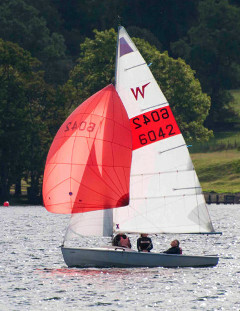 Tested at Grimwith reservoir during the UKWA Yorkshire Dales training w/e. 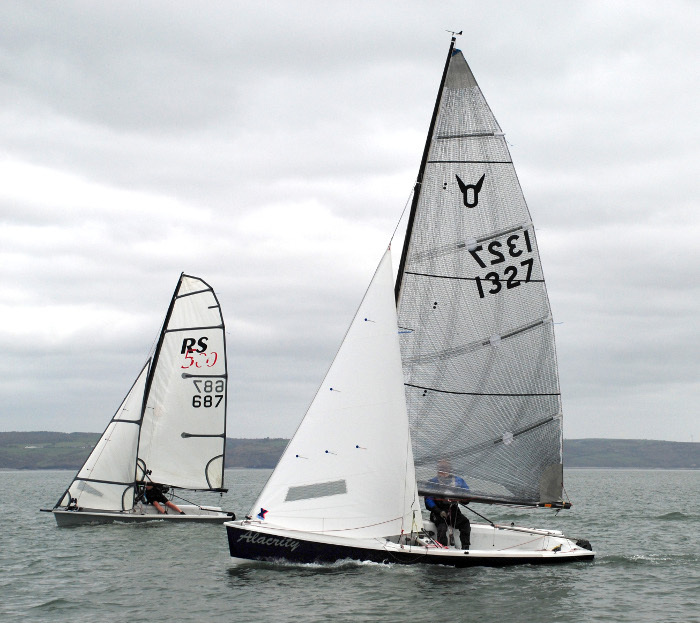 SD type Wayfarer used – sailed by Chris Codling and Ansis Roskalns. 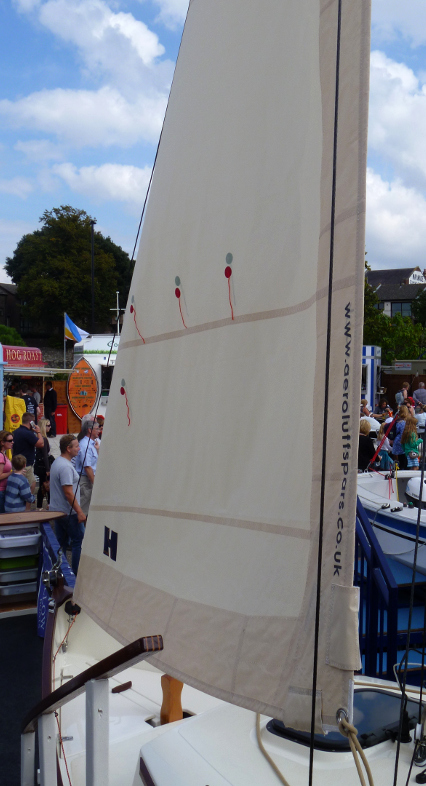 Test carried out with both full and reefed mainsail. 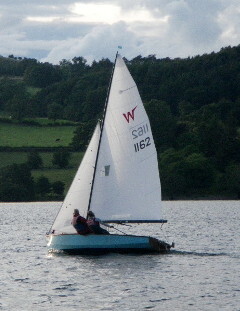 Ansis (at 16+ stone) standing on the boom with reefed mainsail – prior to climbing over and onto centreboard. 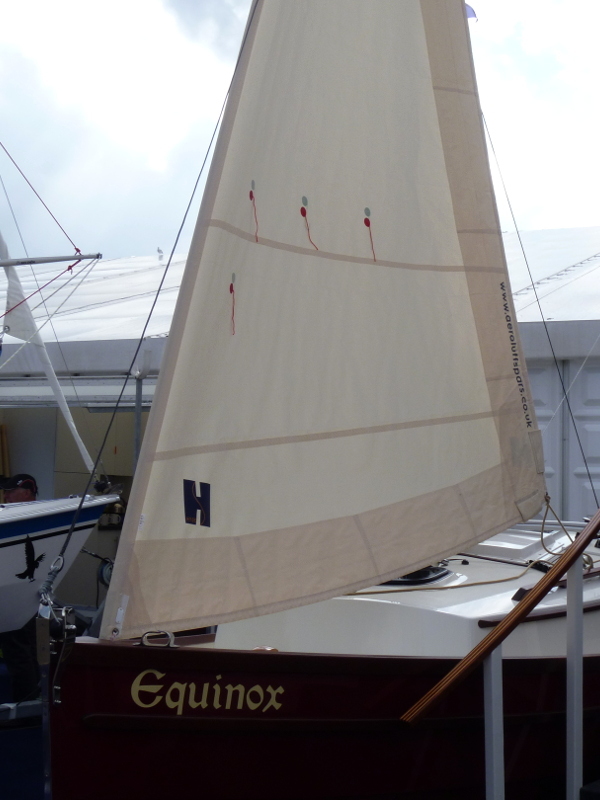 Shrimper 21 'DEMELZA' fitted with an Aero spar. 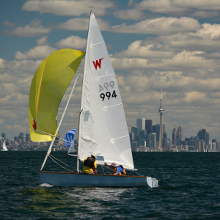 The Aeroluff flexible carbon jib reefing system is light weight and less prone to damage than the more common aluminum foil systems. 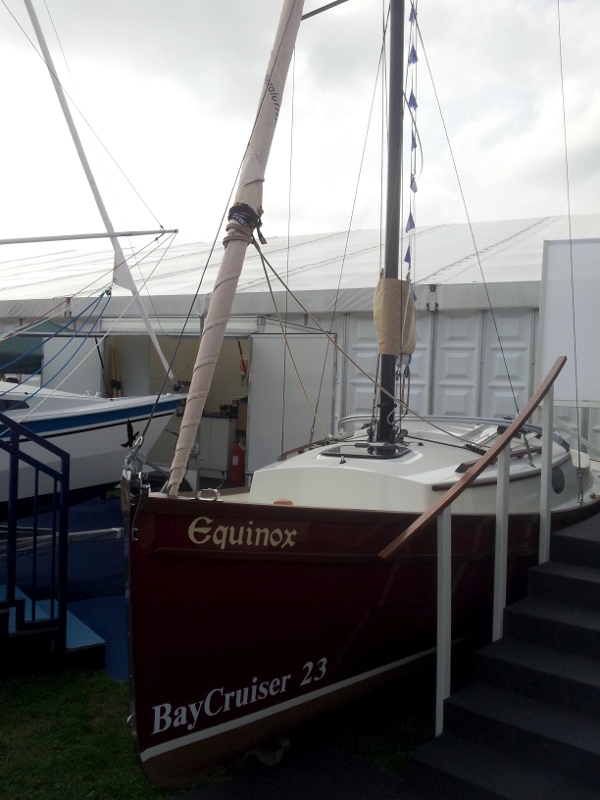 on a Shrimper 19 and Adventure 17 at the Southampton boat show. 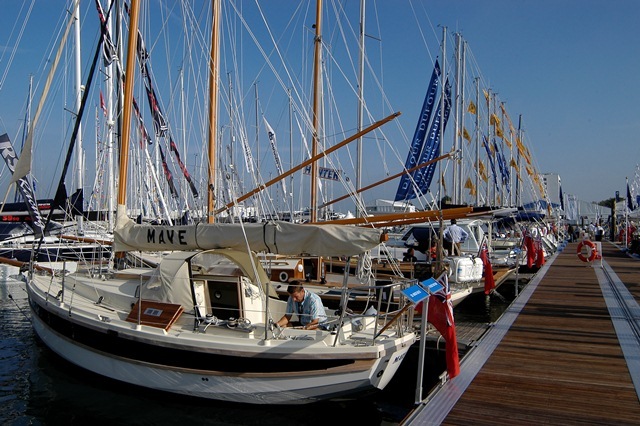 Southampton International Boat Show 2014 will see Cornish Crabbers taking full advantage of the fantastic ‘on the water’ facilities. 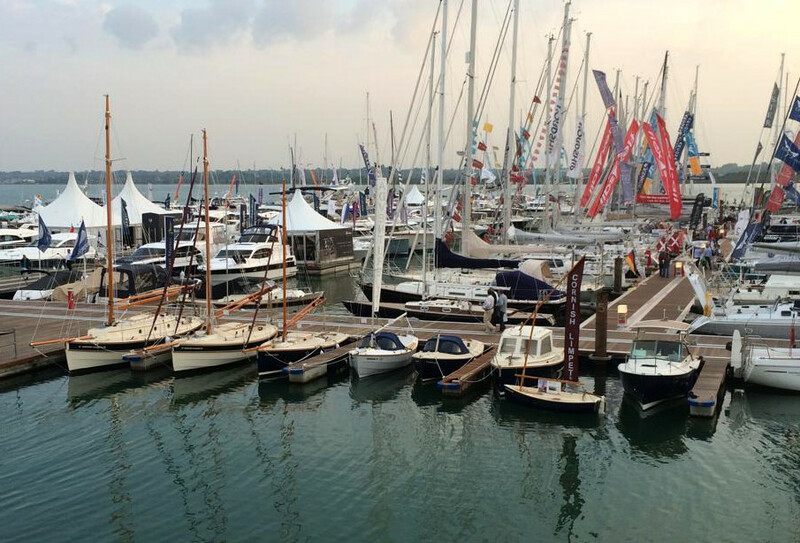 September 12th – 21st 2014 will find us perfectly placed at the bottom of the main marina entrance ramp. 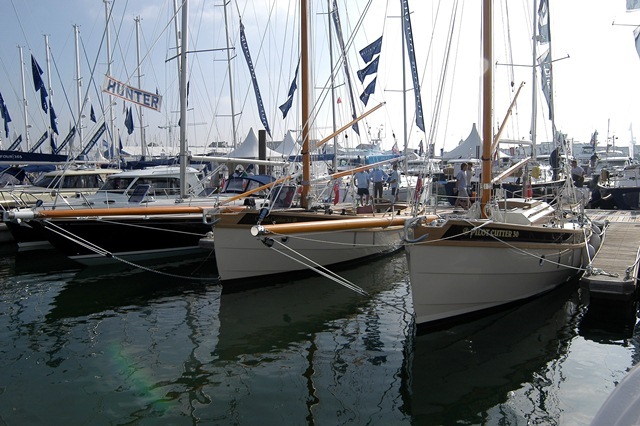 Afloat and ready to board will be the Crabber 26, Crabber 22, Crabber 17, Shrimper, Clam 19 and both a Mystery 30 & 35. This fantastic new spot will make us impossible to miss! 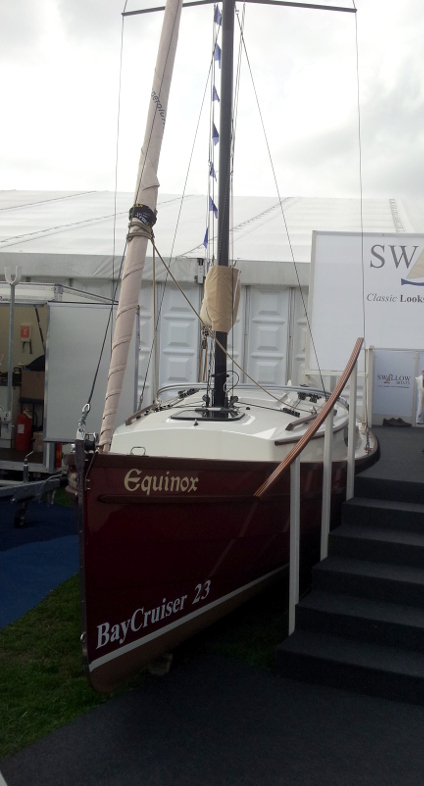 Swallow boats displaying an AeroSpar system on a Baycruiser 23 at the Southampton boat show. 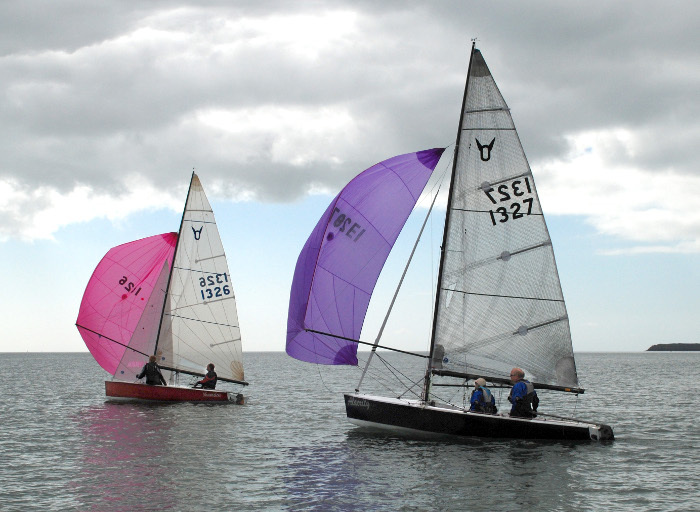 Matt Newland MD, Swallow boats displaying an AeroSpar system on his Baycruiser 23. 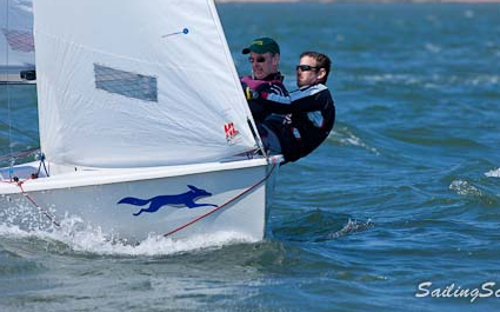 "Another exciting innovation is the development of the AeroSpar furling system. 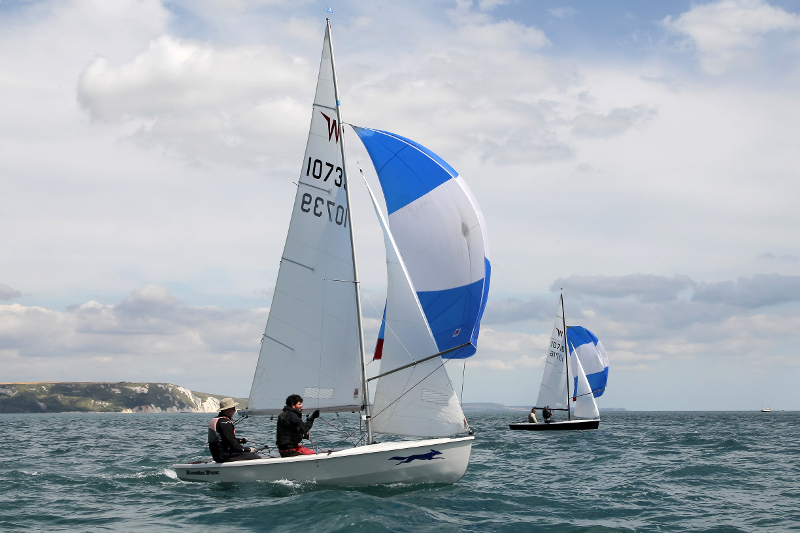 Originally designed for dinghy sailing, Aeroluffspars & Cornish Crabbers have worked together and the result offers a much lighter, convenient and flexible jib reefing system. 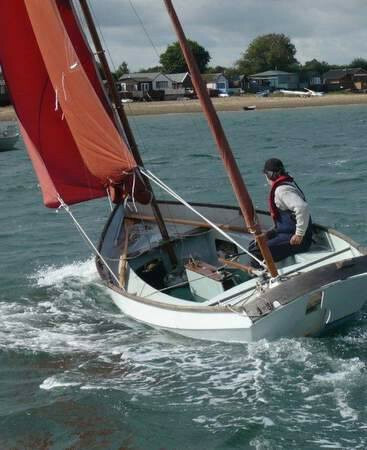 Perfectly suited as an improvement to traditional wire luffed headsail furling systems The AeroSpar is to be offered as an option on all Cornish Crabbers as the development progresses. 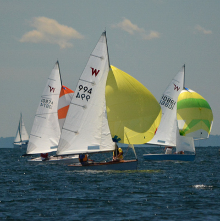 Instead of relying on a fragile aluminium foil section situated in front of the sail luff the AeroSpar is built into the front of the sail and producing a much slimmer sail entry. The flexible internal carbon fibre rod rotates around a luff wire making it possible to lift the bowsprit without removing the headsail. Magic!" 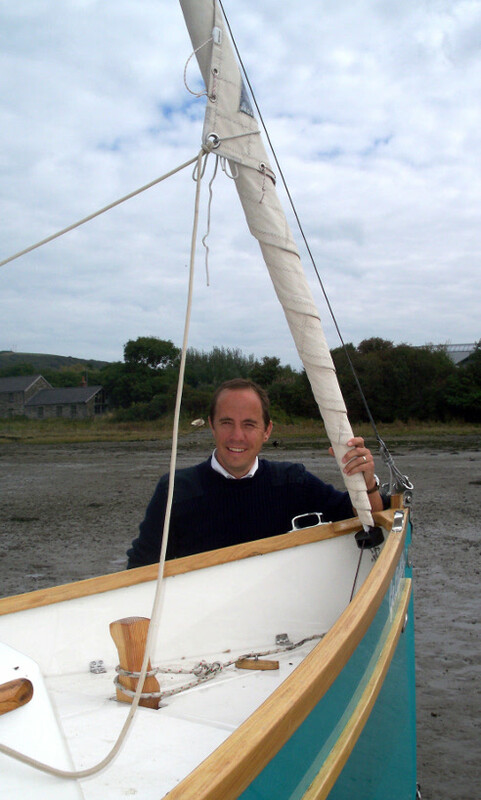 Aeroluffspars having been working closely with Peter Thomas to develop AeroSpar for the Cornish Crabbers range. 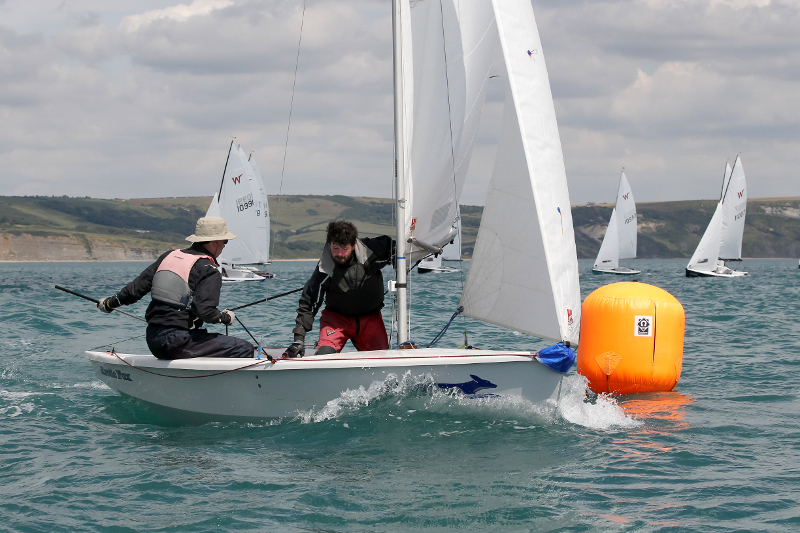 WPNSA Olympic sailing venue, Weymouth. 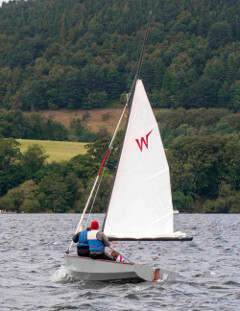 "Having now put the AeroSpar reefing system through its paces at the Ullswater Gathering, I must say I am delighted with the way it performed. Typical of Ullswater, we had very changeable winds, both in strength and direction and sailing single handed, I had quite a lot with which to contend. 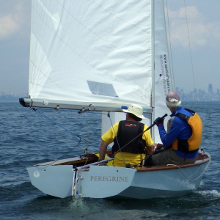 However by going out with either a single or double reef on the main, I could use the reefing system to keep the boat well balanced by finely adjusting the genoa. Also, coming into a busy anchorage, beach or jetty was made much more simple with the improved visibility afforded by having the genoa fully furled. This took literally no more than a couple of seconds to do on the final approach. With regard to the other bits and pieces you did on the boat, they also worked well. The modification to the main reefing system worked particularly well as most cruises involved putting in or shaking out a reef in the main, and this was done with minimal effort. Several other Wayfarer owners admired the work you had done, and photographed the system, so there may be a little plagiarism ensuing!" I do not know if you realised, there is a new verb in the Wayfarer dictionary. 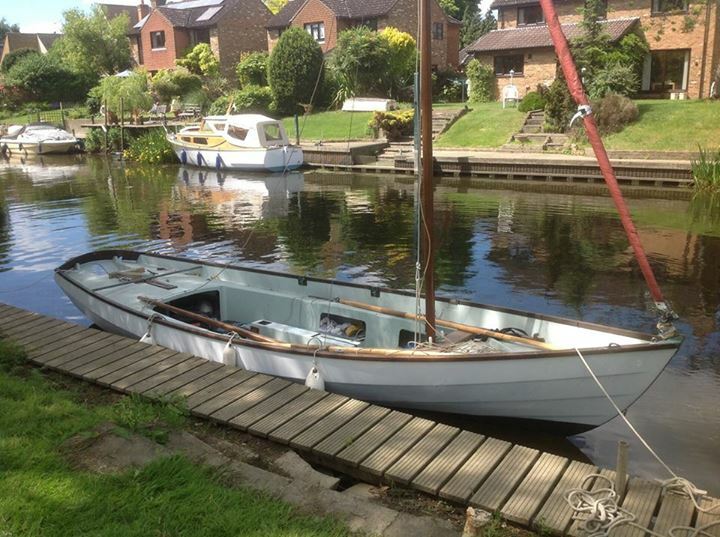 That is to have a boat Ralphed"! 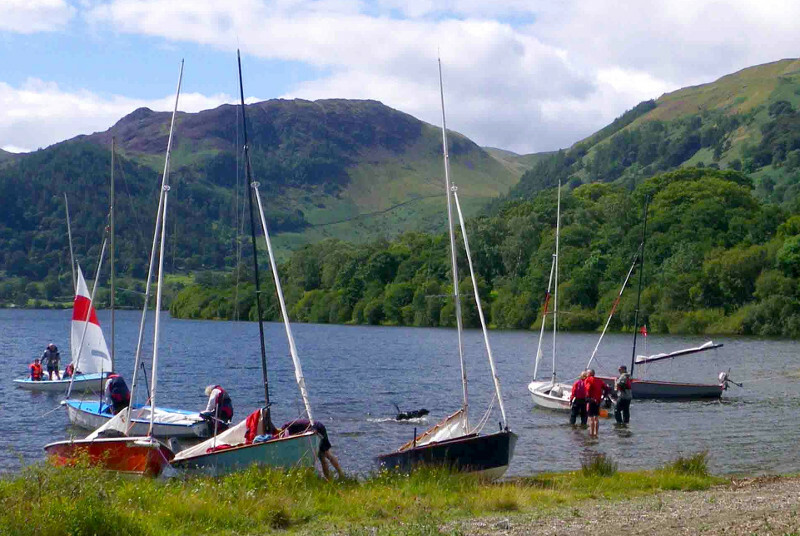 Ullswater Gathering this year was a fantastic week had by all. A first year for Mark and Julie Foreman organising it and they put on a real show, shame the weather wasn’t sunny all the time but the big winds meant some fun playtime for the big boys (and girls) as well as the lighter winds allowing the kids to get out sailing by themselves, some for the first time. 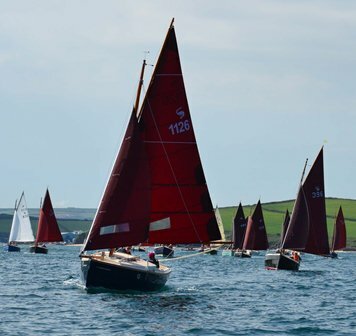 Trips to Glennridding, Aira Force and several more trips to Pooley Bridge and Howtown pubs kept everyone amused as well as the Wednesday night race at the Yacht Club which a record 8 Wayfarers entered! Everyone is already looking forwards to next year, so start stocking up on the rum Mark and Julie! One-day event Wimbleball SC, on Exmoor, sailing conditions were perfect. 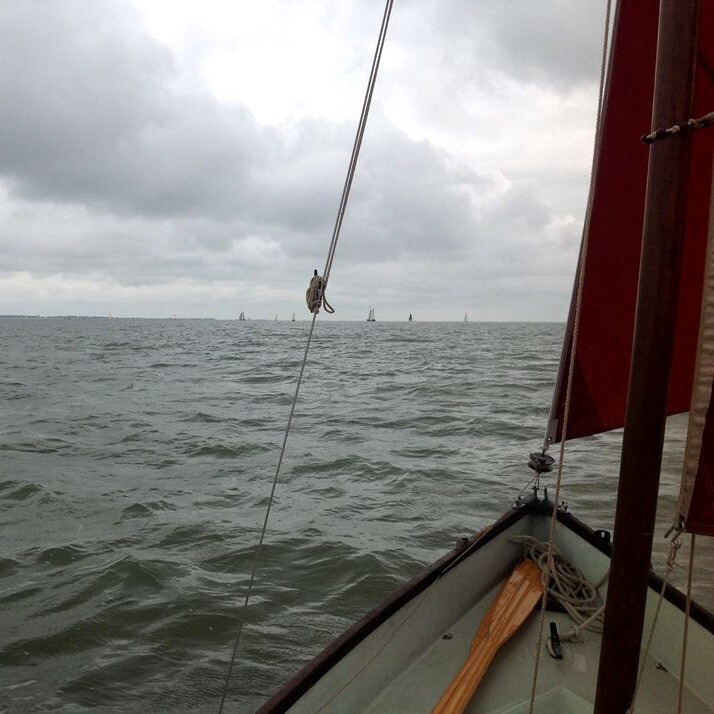 Drascombe Longboat "Badekar" and it's Aeroluff leading edge working their way up the Waddenzee after crossing the North Sea. 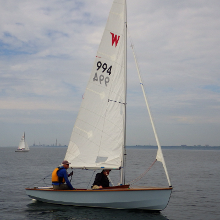 Jib working a treat when reefed. "I am particularly impressed with the design of the carbon fibre spar, as it simply swivels around the solid eye ends of the luff wire when the drum is rotated. 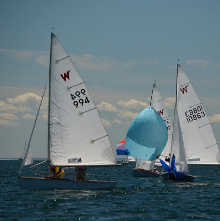 The loading on a normal furling system is always a concern to owners of a boat like the Osprey with no forestay, where due to the size and power of the boat, everything is highly loaded and any standing rigging failure is likely to result in a very expensive breakage for the carbon keel stepped mast. The spar happily copes with having a carbon spinnaker pole bent around it on those occasions when the stop knots aren't quite in the right place - or when flying the kite at a reaching angle that we really shouldn't try, but do anyway due to the close company of a deadly rival whilst racing in highly competitive mode! 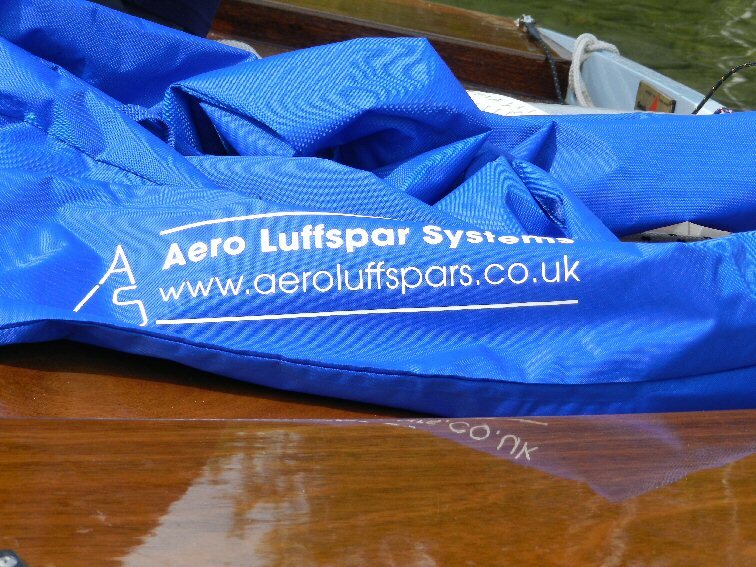 "The AeroSpar worked faultlessly, allowing us to quickly and easily adjust the genoa to suit the conditions. For Hafren, it was a must-have item". 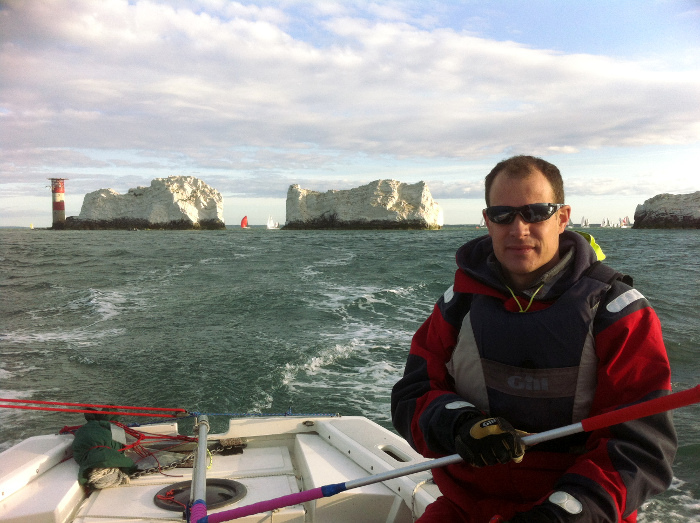 I recently visited Ralph Roberts in Norfolk at the end of October to see how he manufactures his Aero Luffspar furling system. 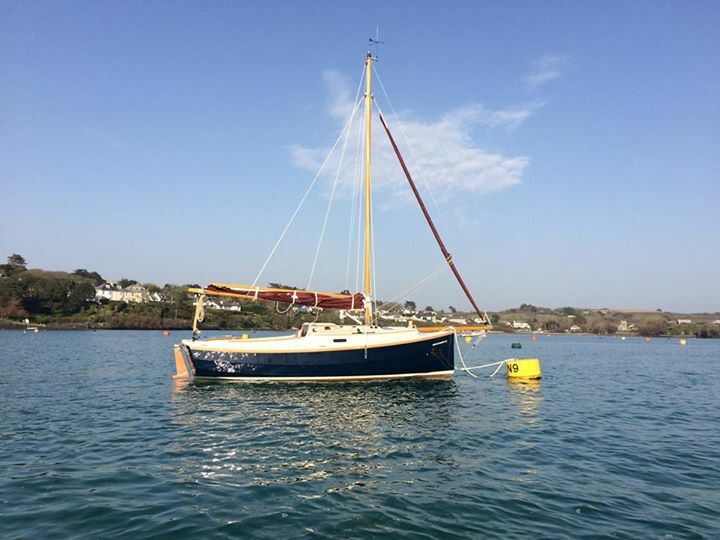 The timing of my trip happened to coincide with a Wayfarer tidal training course organized by Matt Sharman and John Mellor, for which Ralph had also volunteered as an instructor, and he assured me that I’d be welcome to join the group. 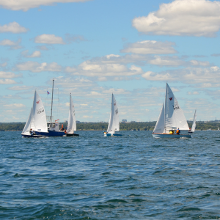 Seven boats with helm and crew participated - each paired up with an experienced instructor on board. 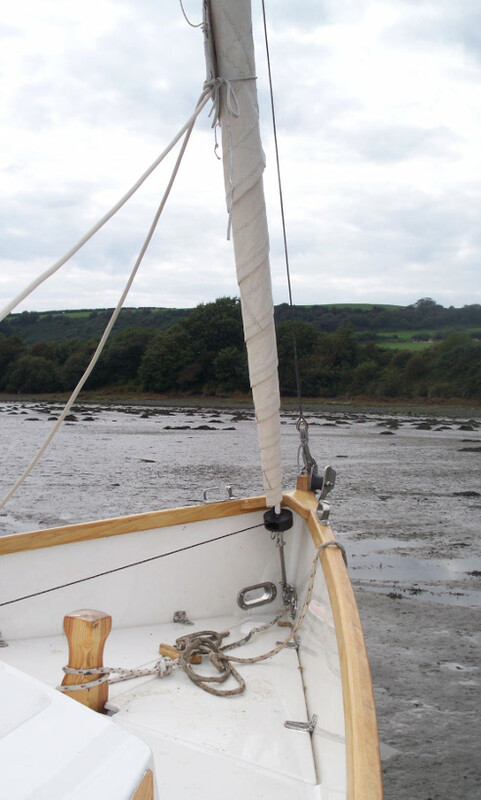 Many had travelled a considerable distance to the event and for some this was the first tidal water they’d sailed in. 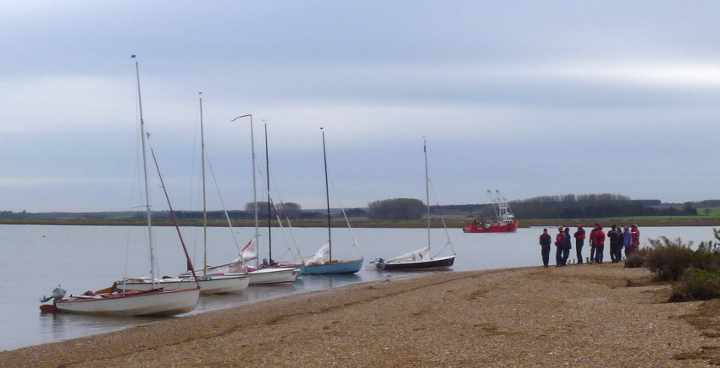 The venue was the small village of Brancaster on the north coast of Norfolk close to The Wash estuary. 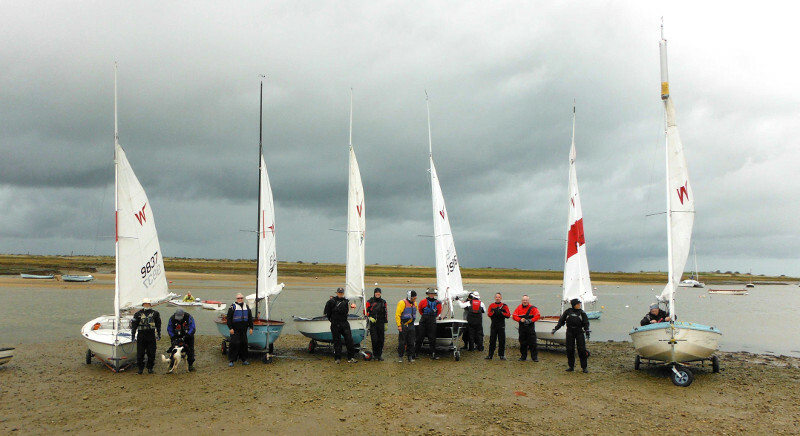 6 Wayfarers anchored off the beach at Brancaster – the Aero Spar being chosen as the most efficient furling/reefing system by all 6 of the Instructors’ boats. 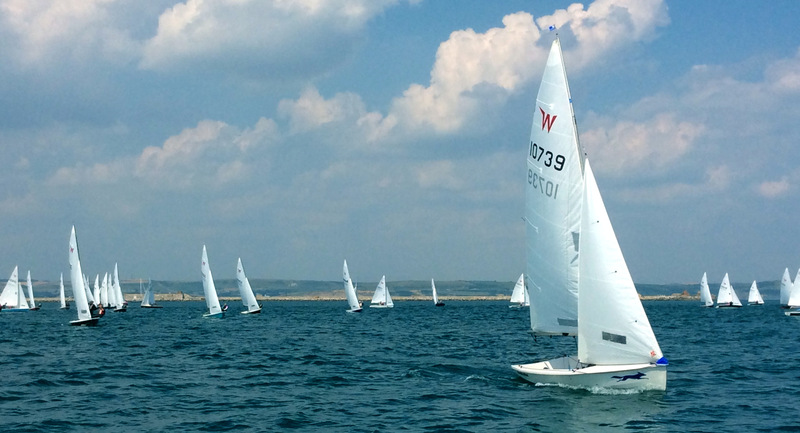 W994 in clear air and getting off to a fine start in race 4, with the Aero Furling Spar providing the same efficient sail profile as all other boats in the fleet. 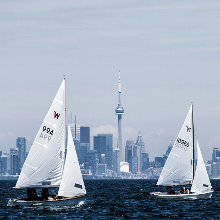 W994 on the run to the leeward mark, and sailing with the genoa furled to give them a clear view for setting the spinnaker, as well as an open field of vision of all other competitors on the approach to the mark. A complete viewing of official photos taken at the International Championships (including the above – except photo 5) can be seen at: www.flicker.com. Al Schonborn (WIC Secretary) has the original of photo 5 on the WIC camera SD card. 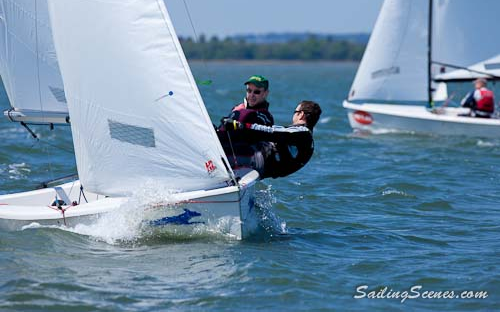 We used the Aero Furling system throughout the recent National Championships in Poole. We came 15th out of 50, with a best result of 9th. This was down to tactical errors and other mistakes, nothing to do with our boat speed, which we were very happy with throughout the championships. 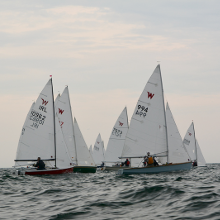 The main advantage of the furling jib was in the periods hanging about between races when we could put the jib away for comfort and improved visibility for collision avoidance. 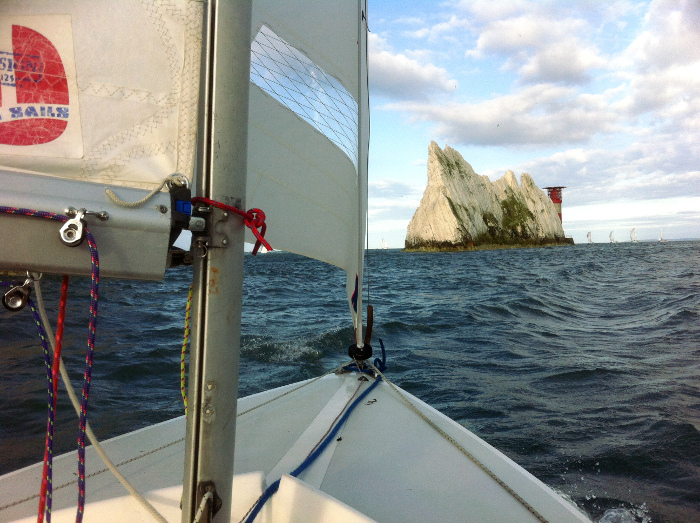 It’s possible to furl the jib to slow down just before the start and then release the jib on the start gun to power away, but I didn’t quite have the confidence to try this! So the furling gear will remain part of my permanent set up on my racing boat – it even makes de-rigging easier as you can just detach the carbon spar with the jib already neatly wrapped around it.